Paul Brown recently wrote a great article on Why Spotify is an iTunes-killer worth paying for. In it, he mentions that you can sync your local music with Spotify on your mobile. This feature’s been around in Spotify for a while now but it seems that not everyone was aware of it. Instead of having to use cables or manually copy files to your phone, Spotify can sync them for you via WiFi. So to complement Paul’s article, here’s an expanded How To Guide. NOTE: since this article was written, Spotify updated their app to make it easier to sync (see the comments below). Basically you should now see you smartphone/iPod appear in the new Devices section in Spotify desktop. You can then just tick the playlists you want to sync, or make Spotify sync everything. 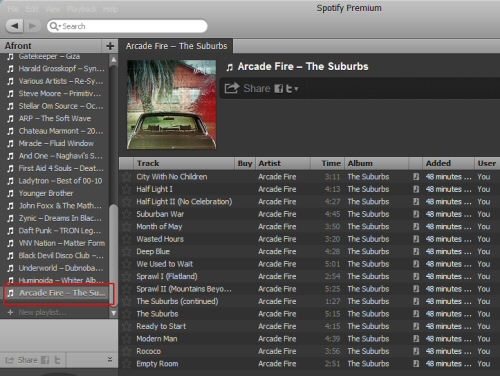 Start Spotify on your desktop. Now make sure your phone is connected via WiFi to the same network as your PC (this step is important: you can’t sync local files over 3G). Also make sure Spotify is still open on the desktop, otherwise the files wont sync. Start Spotify on your mobile. 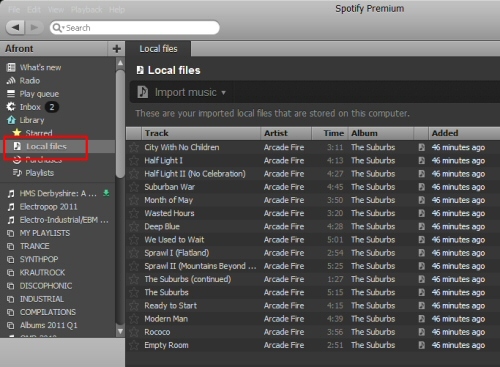 As you add or remove local files to these playlists on the desktop, the mobile version keeps in sync with the changes. 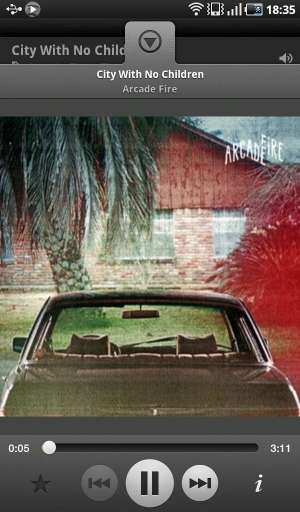 So in three easy steps, I now have Arcade Fire on Spotify Mobile!